Manchester United will be looking for three points from their trip to the Emirates Stadium on Saturday evening to keep the pressure on Premier League leaders Manchester City. Jose Mourinho’s side are coming off the back of a 4-2 win at Watford on Tuesday evening, whilst Arsenal thrashed Huddersfield Town 5-0, 24 hours later. The Spaniard is one of the first names on the teamsheet and no doubt David de Gea will continue in goal tomorrow. Mourinho was full of praise for Victor Lindelof’s man marking duties of Richarlison midweek and I think the Swede will have earned his place in the starting lineup this weekend as a result. Lindelof could be given similar duties to mark Alexis Sanchez out of the game down the left, presuming the Chilean doesn’t start up top. 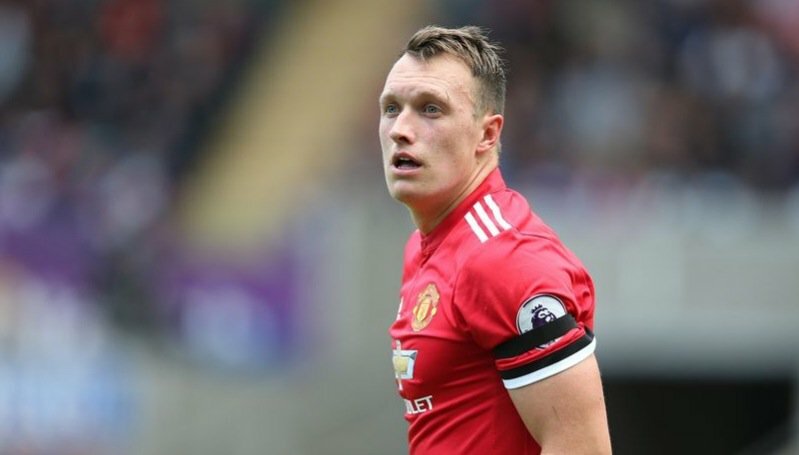 A late decision will be made over the fitness of Phil Jones but it looks as though the England international will have recovered from a thigh injury in time to start this one. In that case I am expecting Mourinho to start with a back three and wingbacks against Arsenal’s attack that is likely to consist of Olivier Giroud, Alexis Sanchez and Mesut Ozil. Chris Smalling has started the past few games with Eric Bailly still sidelined so the England international will retain his place at the back. The captain is sure to start and will have his defensive duties cut out if he has to go up against Sead Kolasinac. Should the Bosnian start down the left Antonio Valencia will have space to attack in the Arsenal half though. With Nemanja Matic picking up an injury midweek and unlikely to be ready in time for this one, and Marouane Fellaini also sidelined, the responsibility will fall on Ander Herrera’s shoulders to help us dominate the possession in midfield and protect our back three. A man of the match performance from Ashley Young midweek saw him score a brace against Watford. He’ll continue on the left hand side of a central midfield four in this one. With Matic and Fellaini out, Paul Pogba will need to drop deeper which should mean Jesse Lingard starts in the number 10 role. The forward scored a superb solo goal midweek and has been getting the nod ahead of Henrikh Mkhitaryan of late. The striker is on a poor run of form but I don’t expect Romelu Lukaku to be dropped, even though Zlatan Ibrahimovic must be ready to play a full game now. Arsenal’s defence has improved in recent weeks but there are definitely goals available to us at the Emirates and I just hope the Belgian striker is among them. Marcus Rashford has formed a decent partnership when playing alongside Romelu Lukaku and I think we’ll see this continue in North London. 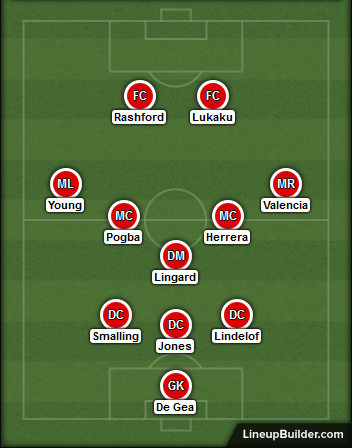 Starting both Rashford and Lingard allows Mourinho to change the formation in play if needed. Anthony Martial on the bench to call upon. Mou should start with Carrick & Pogba. Rojo should also start. Mou remember if you allow Arsenal to score first you are doomed. They should also not score in the first half if they must score.